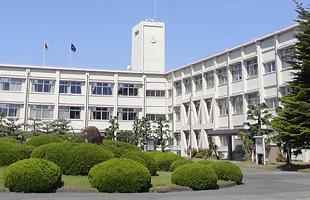 The school badge, representing an iris, which is the flower of Aichi Prefecture, is designed with high regard to compositional simplicity, balance, and linear dynamics. 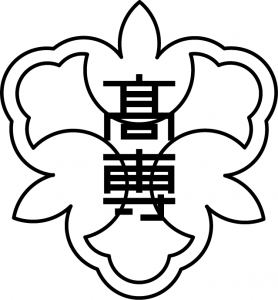 The three petals with thick stamens symbolize the letter T, the initial of the city of Toyota. The tripetalous symmetry intends to embody moderation as well as stability.